Purchased a box of these walleye fillets because they are skinless, which is what I prefer. Was impressed with the quality. Arrived frozen solid, well packed. Best part is the taste, very fresh. As a life long fisherman who no longer can get out in the boat, this was a nice find. I will definitely be buying these again. Order them for a Christmas present. Sent them, they said they arrived looking great. I was told they were awesome! Excellent fish. Great taste, flakey and almost melts in your mouth. We're originally from Minnesota so we're familiar with how walleye should look and taste. Our order arrived frozen with quite a bit of dry ice remaining- and it was sent to Florida! We cooked some up the next day and it was every bit as good as we were used to in Minnesota. Would definitely order again. Thank you. Review title says it all. Vacuum packing gets 5 stars. My father in-law is from Minnesota and hasn't had walleye in 14 years. Walleye is not an easily found fishery here in NJ. Since he has moved in with my family I have been trying to resource walleye and was very surprised to find this company. He was very surprised when I made him a feed the day I received them. I am impressed and so is he, I strongly recommend this company. Would give a 5 star rating except that at the price paid I expected the fillets to be boneless and there were definitely lots of bones! :(. Did overnight shipping with dry ice because it is still quite warm in Texas. Arrived on time, still with dry ice, still frozen solid, and once deboned and prepared it was absolutely delicious! This fish is the greatest!! Received within a few days of ordering and still frozen hard!! Will continue to order!! Love it!! Received my order on schedule and frozen. The fillets are the perfect size for me. So far, I have grilled and fried. Both were great and reminded me of my Minnesota home. The walleye is awesome. But I need to let you know that after I placed my order with the company, right after that my card was used fraudulently. Not saying it was your site but I will be ordering from you guys again. Just making sure everyone's credentials are good. Order came frozen solid, despite the slower shipping method. Flavor is real good. Not as good as fresh caught that morning . . . but as good as any caught and frozen fish could be. 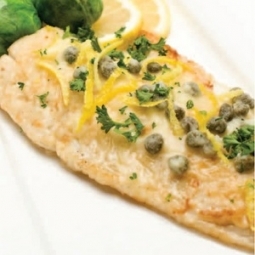 We first tried walleye in Montana and after reading reviews, decided to order from walleyedirect. The fish arrived promptly and we tried it that night, and it was delicious! We grilled it with lemon slices and butter. I will definitely be buying more and I have already recommended the website to several other friends! Thank you so much! I ordered the five-pound package of Walleye, and it arrived in perfect shape, still completely frozen in the large dry-ice styrofoam container. The filets had been separately frozen so one didn't have to defrost the entire five pounds. The quality is excellent, obviously flash frozen at height of quality. I dredged them in flour and pan fried them in olive oil and butter. That said, five pounds is a lot of fish for two people. Have you considered smaller packages? I know it would be more expensive, but I would be happy to pay more to have a smaller quantity. Our freezer is quite large, but has a lot in it. Order arrived promptly. The fish fillets were totally frozen. Nice and similar sized fillets. None were broken. I hosted eight people for dinner. Cooked walleye dipped in egg and milk, ground club crackers and a little flour and then sauteed in olive oil and butter. Devine!! I'll order again when I'm ready to serve this special fish. 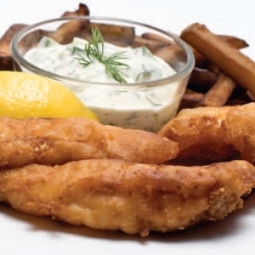 Fresh, delicious as always and came frozen solid as has always been the case when ordering from Walleye Direct. 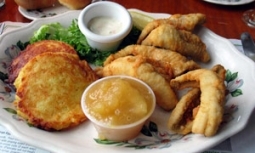 Walleye is considered a staple food from "back home" (MN) This product will satisfy anyone who loves fish and doesn't care for a strong "fishy" taste. It's perfect when saute'd in avocado oil, olive oil or even coconut oil. Arrived frozen, with overnight shipping, and thawed in 4 hours, deep fried with egg whites and crackers. BEST FISH EVER!! Ate all 5 lbs one fish fry 7 friends. Beautiful size and texture, the best walleye I have ever purchased. Just like shore lunch But done at home!